Jennifer Garland is the Owner/Program Director of The Mane Intent, offering Health and Wellness Workshops and Individual and Team Effectiveness Coaching. 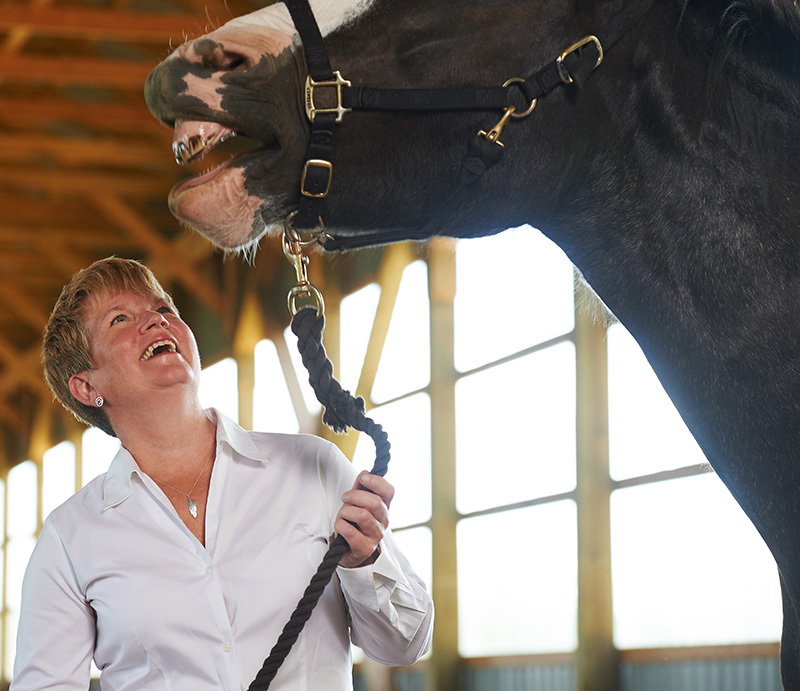 Her clients work in partnership with horses as natural coaches in facilitator-guided activities. This gentle herd offers sensitivity, perceptiveness and intuitive feedback without judgement in a safe setting. The experience prompts lasting change, greater wellness and enhanced effectiveness. Jennifer brings to this unique work over 25 years of leadership experience in communications, marketing, change management and community investment in many sectors including healthcare as President, The Cactus Group, her management consulting firm established in 1997. She is an award-winning senior writer, strategy and communications consultant, facilitator and effectiveness coach specializing in strategic relationship building approaches for individuals, executive teams, and the organizations they lead. Jennifer has provided counsel and support to senior leaders from all walks of life to build productive relationships, facilitate learning and to embrace change. Complementing a diploma in public relations from Durham College and a degree in Business Admin/Political Science from Trent University, Jennifer has a Certificate in Managing Strategic Change from the Rotman School of Management, a Certificate in Conflict Resolution and Mediation from Trent University and a Certificate in Trauma Counselling from the University of Toronto. She is also a Reddin-Global certified Effectiveness Coach. Jennifer is a contributing author of Healing With Horses: Growth and Transformation Through the Way of the Horse. Jennifer supports her local community. She currently serves on the Board of Directors of the Kawartha-Haliburton Children’s Aid Society and chairs its Quality Committee. She also serves on the Quality Committee for Hospice Peterborough and supported its capital campaign to build a new hospice care centre. The Mane Intent operates from a beautiful 80+ acre property featuring a historic farm house, the original log cabin, century barns, and an indoor 9100 sq. ft. arena for equine work. The property includes 20 acres of sugar bush with trails, a hidden meadow, a stone labyrinth, beautiful vistas, and large perennial gardens. It’s the perfect setting for individuals and teams to connect with possibility using horse power.